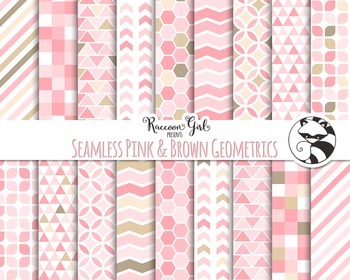 These geometric style patterns include a massive total of 90 different digital papers in colorful shades inspired by pink roses, sugar cookies, caramels and milk chocolates! 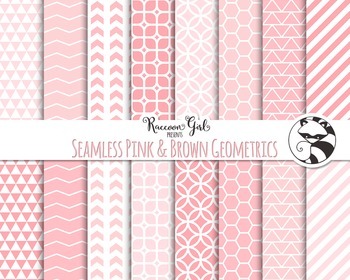 Patterns include squares, triangles, chevron, stripes, lattice and more! Enjoy creating all sorts of lovely pink and girly themed designs or crafts with a variety of patterns to choose from. These patterns are completely seamless, so with the proper knowledge and software they can be repeated/tiled over and over again. Add a colorful and charming touch to your modern designs, crafts or projects with these lovely patterns!